The Louisville Slugger Fastpitch Xeno was first introduced in the market years ago, but it continues to hit the chart. Being lightweight, durable, tough and scratch-free, this bat is quiet familiar with fast-pitch games in various associations and leagues. Its numerous drops in a single model enable hitters to choose the right weight and length for them. The handle and grip is also slightly longer compared to other variety of this same class. It is also developed from composite materials (aluminum alloy) seamlessly. It is, without further ado, one of the best fast-pitch softball bats today. When we talk about fast-pitch softball games, we are talking about one of the types of pitching used in this play. 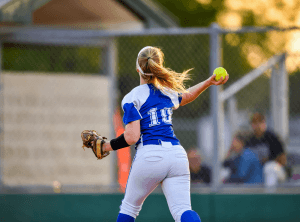 The “fast-pitch” term on softball pertains to the games commonly played by both men and women. 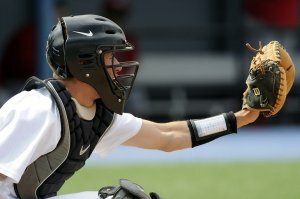 It is one of the types of the game recognizes by international organizations on which a “fast-pitch” is used in pitching. There are also co-ed fast-pitch leagues in existence. Fast-pitch softball bat is the required bat in this kind of tournament. 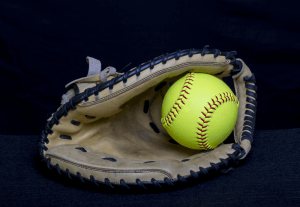 One of the most common brand professionals and amateurs used in this type of softball is the Louisville Slugger Fastpitch Xeno Softball Bat believed to be because of its accuracy in striking softballs. While the bat industry is flooded with various brands and makes, an average softball bat is primarily made in any one of these construction types: composite, multi-wall, single wall and wooden. The last type is becoming rare because of scarce resources and primarily because wood is too delicate to make and many environmentalists are opposing its production in other countries. 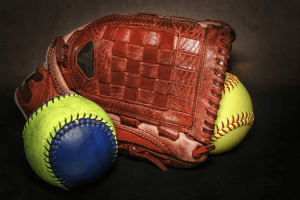 Metal softball bats are becoming popular for most of the leagues and softball association across the globe, just like the Louisville Slugger Fastpitch Xeno Softball Bat which is currently available in various online markets. 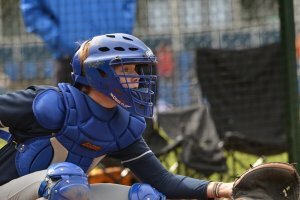 We will talk about some of its ergonomic features which are praised by softball enthusiast for years. This product is certified by ASA (Amateur Softball Association) as a composite designed fast-pitch softball bat and conforms to the association’s Non- Linear Bat Compression Thresholds (NBCT) and the certification could be read through the association’s website updated on Oct. 7, 2015. The Slugger comes in 9 varying weights and sizes that are all rated according to the size and weight of the hitter. While some brands have only a handful of drop to choose from, this brand offers more choices for the enthusiasts to have more of the chances in improving their techniques while trying different weight and sizes. But this does not mean you will buy all the sizes, you could try your teammates’ and decide for yourself what drop to buy. As technology grows and improves every day, this bat is no different. It is practically made from 100% composite materials. Its aluminum alloy composition is cold-rolled and welded precisely seamless. It has longer grip and handle and higher-strength walls for lighter swing weight. Its barrel is sealed from its handle enabling stiffness and durability nothing can compare to. The handle has a standard diameter of 7/8 inch in all sizes. The barrel and handle connection is made possible by the advanced method known as iST (Innovative Sensor Technology), where the two are bonded and connected together with straight and solid weld making it to have a better feel for the hitter. No traces of weld or seam could be seen or felt within this bond. Additionally, an aluminum inner disc (called S1iD Technology) is integrated within the connection giving more flexibility and a trampoline or spring-like effect when a ball is hit by the barrel. Since its barrel is manufactured with uniform weight distribution, hitters will able to strike the ball swiftly without the puss. 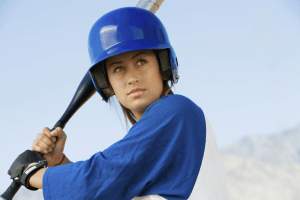 Hitting the ball while standing would be difficult for the hitter if he or she is holding unbalanced equipment where a good range and possible strike is almost next to nothing. One thing more, the flexibility of the barrel could withstand multiple hits even in the longest time possible. Aluminum is one of those materials that could withstand corrosion and rust over the years of use. The Louisville Slugger Fastpitch Xeno Softball Bat is proven to last a lifetime because of this material. It is also virtually moisture-proof when handlers sweat it out on their hands as some players do. The bat could easily be cleaned by wiping it out with clean cloth. Fast-pitch softball bat is what is used in fast-pitching softball games. A great example of this is the Louisville Slugger Fastpitch Xeno Softball Bat designed for use to both men and women of playing age. The composite materials this bat is made of makes it more likely to give users the advantages in every game. Taunted to be one of the best fast-pitch softball bats in the industry because of its technologically advanced method of manufacturing without altering the balance effect of its barrel, this product truly amazed leagues and legends.